Do you have questions about Westport’s “Net Zero by 2050” goal? Would you like more people (as in, anyone) to adhere to our “no idling” regulation? Are you concerned about future water quality (and quantity)? What would you like to see done with builders who clear-cut every tree before throwing up houses on steroids? 1st and 2nd selectman candidates will be asked those questions — and many more — at a special “environmental debate” tonight. Jim Marpe, Jennifer Tooker, Melissa Kane, Rob Simmelkjaer, John Suggs and TJ Elgin will discuss Westport’s environmental issues, policies and plans. Co-sponsored with Westport’s Green Task Force, it’s set for 7 p.m. at Earthplace. Questions can be submitted in advance by email: gtf@westportct.gov. 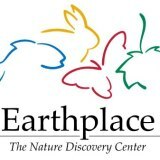 This entry was posted in Environment, Local politics, Organizations and tagged Earthplace, Westport Green Task Force, Westport selectman election. Bookmark the permalink.